Paul is head of our Corporate & Commercial Team with over 25 years of legal experience, having always specialised in corporate work. Paul did not leap straight into the law. 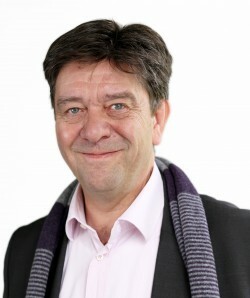 Having studied French and Drama at the University of London and Central School of Speech and Drama, he worked as a teacher of English in France, Egypt and Turkey, before deciding to become a solicitor, qualifying in 1988. He trained and initially worked as a company solicitor with a City of London firm in the boom times of Big Bang in the late 80’s and cut his teeth on a number of interesting transactions involving people such as Sir Robert Maxwell and Asil Nadir. Paul left the bright lights of London in the early 90’s and joined Leathes Prior, becoming a Partner in 1994. Throughout his legal career, Paul has specialised in Company Law, and in particular the sale and purchase of private companies, MBO’s, company re-organisations, fundraising, joint ventures, not-for-profit organisations and pure company law matters. Paul is Head of the Corporate and Commercial Team of six specialist solicitors. He acts for a large number of local businesses, as well as national and international clients. Paul founded the Duffers Golfing Association around 25 years ago, to provide a sanctuary for aspiring golfers with limited talent and is beginning to take some pride in the fact that, having taken up golf in 1972, he still has a handicap of 28. Paul is fluent in French and conversant in a number of other languages. Tact, patience and tenacity in his dealings with both his client and the other party. He makes any transaction bearable. He is creative in dealing with problems and his legal opinion is always strong. Banking expert Paul Warman leads Leathes Prior’s team. At Leathes Prior, Paul Warman delivers practical advice. An expert in the field of Corporate and Commercial Law. It’s not easy to find a no-nonsense lawyer blessed with common sense and a strong work ethic but Paul meets all those criteria. Key Individual for Corporate/M&A work in East Anglia; he is praised for his all-round knowledge of the law and ability to focus on what the client requires. Clients report superb responsiveness, care, diligence, integrity and business acumen. Clients remark that he is always available and provides answers very promptly, showing a good understanding of clients structure and methodology.